Most of us have had that feeling of doubt as we leave the house – did I turn the gas off? Did I leave the lights on? Sadly, for some people with obsessive-compulsive disorder (OCD) this anxiety can become debilitating. They keep checking over and over and over. Now a study suggests the very act of repeated checking could be fuelling their doubt and anxiety. Adam Radomsky and his collaborators at Concordia University have shown in people without OCD that repeated checking actually decreases memory confidence for what’s being checked. 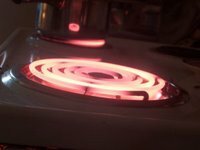 Fifty healthy, student participants were led to a real kitchen and instructed to turn on, turn off and then check three different hobs on an electric stove. In a separate room, they then attempted to recall which hobs they had checked, and stated how vivid their memory was and how confident they were in it. Half the participants then repeated different permutations of the hob checking procedure a further 19 times. The other participants acted as a control group and followed a similar procedure with taps at the kitchen sink (intended to be an ‘irrelevant checking’ task), until the nineteenth repetition when they once again turned on and checked hobs at the stove. Taken to another room, those participants who’d just checked the stove 19 times in a row, now had a less accurate and less vivid memory for the final, nineteenth check, and expressed less confidence in their memory than they had done previously for the single hob check they made at the start of the experiment. By contrast, the participants who’d mostly been checking taps at the sink, had just as accurate and vivid a memory for their most recent hob check as they’d had when recalling the hob check at the start of the experiment. This shows it is only repeatedly making the same check that leads to loss of memory confidence. “While clinicians have known for years that checking behaviour is counter-productive, there is now some empirical evidence for why. It leads to memory distrust – the very thing it is intended to diminish. This in turn promotes continued and/ or renewed checking, paradoxically leading to even less confidence, vividness and detail”, the researchers said. The finding could have implications for treating OCD, the researchers argued. “Psychoeducation about the effects of repeated checking would likely be very helpful in motivating patients to reduce their checking behaviour”, they said. Radomsky, A.S., Gilchrist, P.T. & Dussault, D. (2006). Repeated checking really does cause memory distrust. Behaviour Research and Therapy, 44, 305-316.